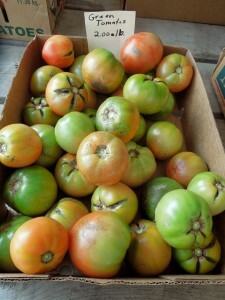 I am crushed that Fried Green Tomatoes…..not a Southern dish. That they, apparently, entered the American culinary scene in the Northeast and Midwest, with a link to Jewish immigrants. I love them and when I see them on menus, I do order them. 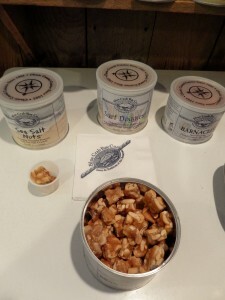 Having been in Charleston, I tasted them everywhere I could. But, let me tell you that, here, at the Delaware Beaches, we have some pretty awesome ones served at our local restaurants. Looking forward to my fig tree this year. 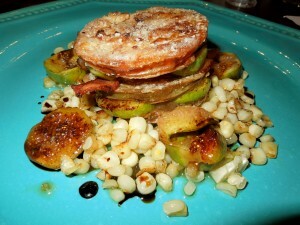 Not just to eat figs off the tree but to also prepare my Fried Green Tomato, Fig, Bacon, Corn Stack….It is my own recipe; not begged, borrowed, or stolen. You can get the recipe by clicking on the month of August of 2013 on the archives of AboutMyBeaches and scrolling down to the 11th. 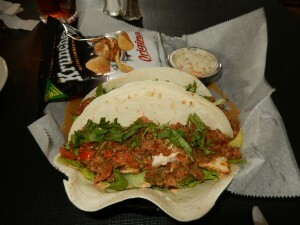 FINS ALE HOUSE & RAW BAR on Coastal Highway. I just had these the other day. They were delicious and hopefully, they will keep them on the menu. BLUE MOON located on Baltimore Avenue in Downtown Rehoboth Beach. This is a signature appetizer. 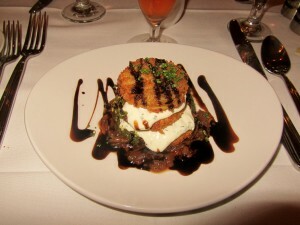 The fried green tomatoes are served with herbed sheep’s cheese, onion, compote, pesto and a balsamic drizzle. Definitely, a blending of flavors. PATSY’S RESTAURANT in Downtown Bethany Beach. 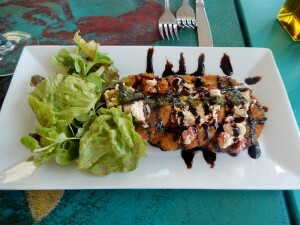 Her fried green tomatoes are topped with roasted red pepper/Vermont cheddar cheese spread with fresh basil pesto and balsamic reduction. 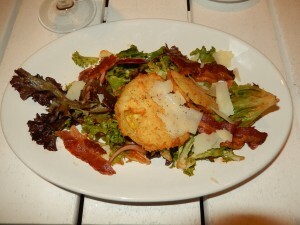 AQUA AT KINGS CREEK MARINA in Cape Charles serves a Fried Green Tomato BLT Salad…smoked bacon and mixed greens, tossed with a roasted tomato vinaigrette. 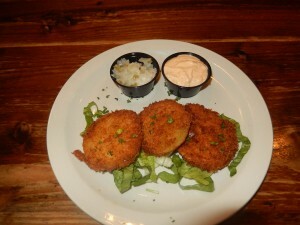 TBONZ in Historic Charleston had these great fried green tomatoes….they went in my burger. 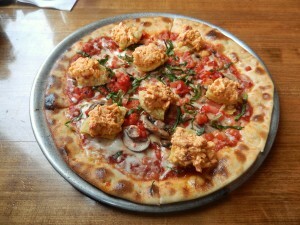 SOUTHEND BREWERY & SMOKE HOUSE, located in Downtown Charleston had never had anyone topped their pizza with fried green tomatoes. Of course, pimento cheese was included. The pizza did not wow me here. 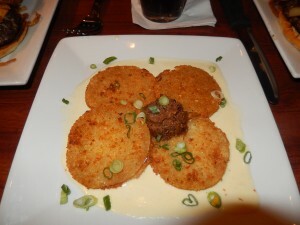 But, the combination of pizza and fried green tomatoes was pretty good. 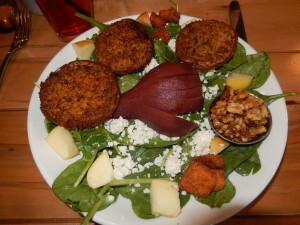 LOWCOUNTRY BISTRO, located in Historic Charleston has a great Ambrose Farms Spinach Salad….an addition of Fried Green Tomatoes made it just perfect. A.W. SHUCK’S – We stopped here with our Culinary Tour (post in the making)….the praline butter on the fried green tomatoes was delish. 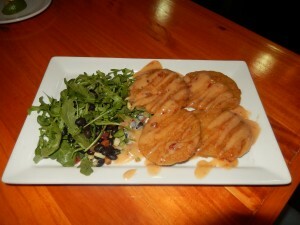 TOAST, located on Meeting St. had their fried green tomatoes with sweet pepper relish. The following recipe is soooooo good. You can serve it with roast beef, chicken, or even in a sandwich. It takes some time to make but once in the jars you can store them for a long time. Give it as presents to special friends. Slice the tomatoes and onions very thin. Cut peppers into thin strips. Place alternatively (some tomato, some onion, some peppers) in layers in a large bowl, sprinkling salt over each layer. Let mixture sit for several hours or overnight to draw out liquid. Squeeze the pickle dry and place in a large kettle. Pour vinegar, sugar, mustard seed and celery seed over pickle. Cook slowly until onion is clear and tomato is almost transparent. One to two hours. Check and stir often. Place in sterilized jars and seal. Note: It is usually served in my house during the Holiday Season. It is an old Merryman recipe. Breakfast? 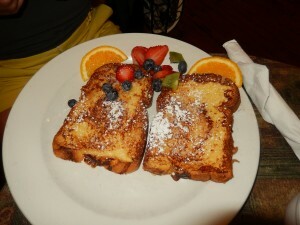 Cape Charles Coffee House, Cape Charles, Virginia, Virginia’s Eastern Shore, Loved the BELT!! I am not one to have every day that most important meal…breakfast. But, when on vacation, I love it. Find a local restaurant, eat like the locals. Even though Hotel Cape Charles had coffee and light breakfast, after a walk around Downtown, we decided we wanted something more substantial, shall we say? 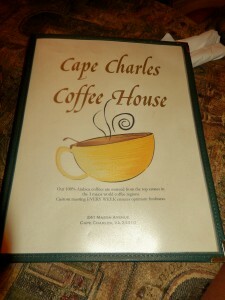 Cape Charles Coffee House is located at 241 Mason Avenue, Cape Charles, VA 23310 Website? 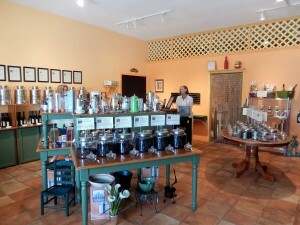 http://www.thecapecharlescoffeehouse.com. The building was from 1910 and, originally, it was the Cape Charles Bank. 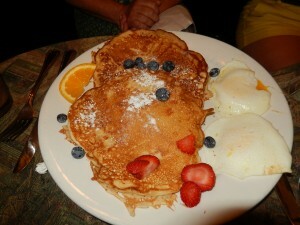 Our orders of pancakes…..adding fried eggs. The BELT is what caught our attention. 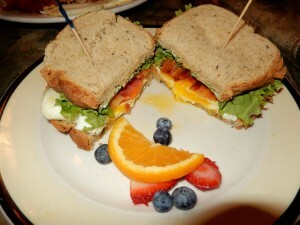 It was a classic BLT, except that when adding a fried egg….it becomes a BELT. Cindi and I had the same. I liked Cindi’s better. I would have preferred the rye toast…well done. 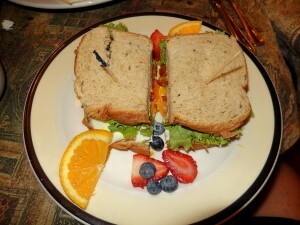 The combination is so good that the BELT is my new “customized” sandwich for breakfast. Have a great day, wherever you are!! Comments Off on Breakfast? 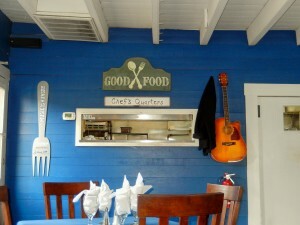 Cape Charles Coffee House, Cape Charles, Virginia, Virginia’s Eastern Shore, Loved the BELT!! 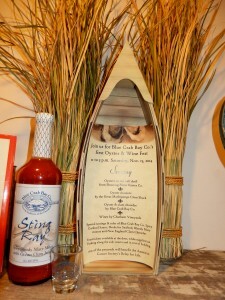 I would have to say that any time you visit a gourmet shop at the Delaware Beaches….and shops that don’t really have anything to do with food, but do represent the best of our beaches, you will find products by the Blue Crab Bay Co. But, wait, not only do they sell nationally, they also sell internationally. 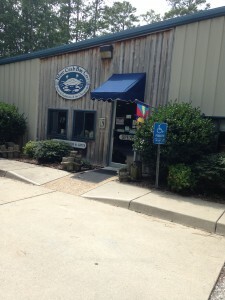 The Blue Crab Bay Co. is located at 29368 Atlantic Avenue in Melfa, Virginia 23410. It is at the Accomack Airport Industrial Park, off Lankford Highway. Tels. toll free 800-221-2722, local 757-787-3602. Website? http://www.bluecrabbay.com. You can also find it on Facebook. This company started in 1985 by Pam Barefoot. When you visit the website above mentioned check the history. It is very interesting. Blue Crab Bay Co. offers different types of nuts and when Cindi and I found out that we were passing through it was a no brainer to stop at the actual plant. We got good tips. 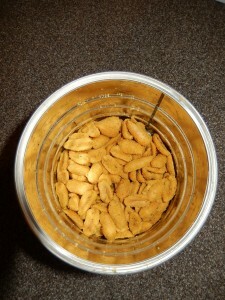 The Skipjacks, which are honey roasted. Mix them with The Surf Doggies, which are honey mustard roasted, making sure you put one of each in your mouth. It is a totally great combination of tastes. 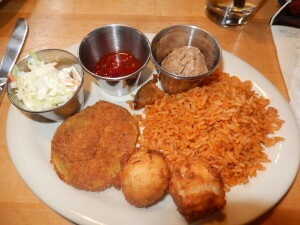 Hooked on the Crab House Crunch…very easy to do. They are sweet and salty. 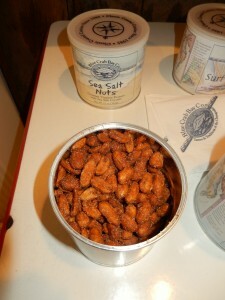 Peanut squares with Chesapeake Bay Seasoning. Make sure you also check the recipes given on the website. You will not believe how many and how good they sound. Website is http://www.bluecrabbay.com. The stoneware collection sold at the store and online is exclusively produced and hand painted for the company…designed by Eastern Shore artisan, Jose Dovis, who also designed the logo for Blue Crab Bay Co. in 1985. 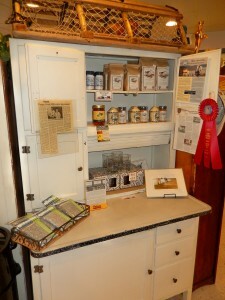 You will also find Pam’s Pantry and Home Essentials at the Blue Crab Bay Co. These products are from other companies that are used and recommended by them. 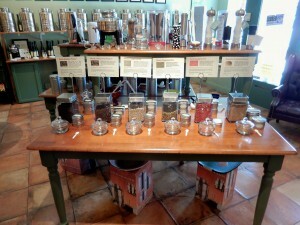 The mixers are to be used as part of your favorite beverages but also there are very good recipes using them, as well. EVENT: FIRST OYSTER & WINE FEST – SATURDAY, NOVEMBER 15, 2014 – 11 a.m. until 3 p.m. They will be serving Oysters on the Half Shell from Shooting Point Oyster Co., Oyster Shooters by the Great Machipongo Clam Shack, Oyster & Clam Chowder by Blue Crab Bay Co……Wines by Chatham Vineyards, which I visited with friends, and a post can be found on this website on 9/4/14. Food tickets available at the door, while supplies last. Parking along the side streets and in the rear of the building. 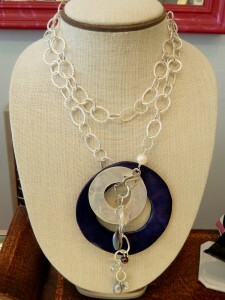 Please note that 10% of the proceeds will benefit the American Cancer Society’s Relay for Life. So, again, I say…..while traveling up and down Eastern Shore of Virginia, make sure you stop and absorb it all. You don’t find too many places like this anymore. See you…talk to you later. Cindi and I stopped for a quick visit to Onancock, Virginia. This is one of the largest towns on Virginia’s remote Eastern Shore. I don’t know why they say remote….from the Delaware Beaches it was about 2 1/2 hours. Anyway, we went straight to the marina to Mallards at the Wharf, located at 2 Market St. in Onancock.Tel. 757-787-8558. 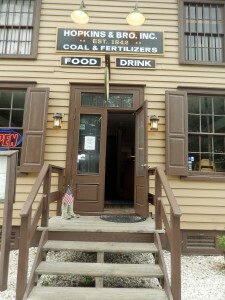 The restaurant is in The Hopkins Bros Building, circa 1842. 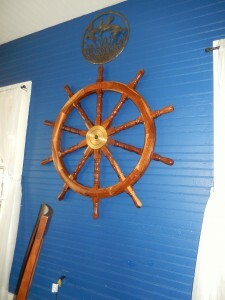 It is owned and maintained by Virginia’s Eastern Shore Historical Society…http://www.shorehistory.org. Do you see the guitar hanging on the wall? Well, this restaurant is also owned by Chef Johnny Mo, who is the Executive Chef, along with Miguel Wiese, Chef de Cuisine. We arrived late afternoon. The restaurant was quiet. But, he is known to entertain its guests frequently. Check the menu and events at The Mallards by visiting http://www.mallardsllc.com. You can find Chef Johnny Mo on Facebook, as well. This chef is also the Founder of the benefit Music for The Hungry, whose proceeds go directly to the Foodbank of the Eastern Shore. 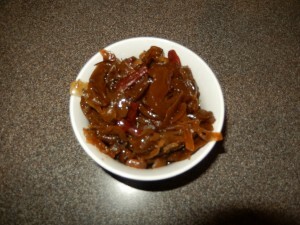 More info., please visit http://www.chefjohnnymo.com. 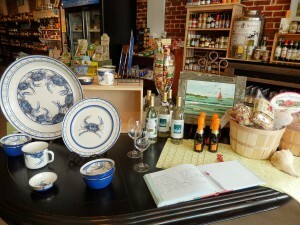 Being that the location is the Eastern Shore you can imagine all the fresh seafood on the menu. Cindi and I decided on the Fish Tacos. 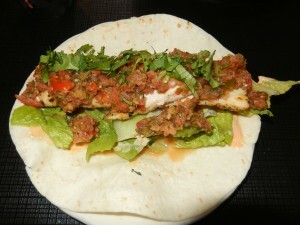 Fresh mahi-mahi grilled, not fried, with lime juiuce over shredded lettuce, salsa, and spicy mayo, served on a flour tortilla…truly delicious. One of the best!! 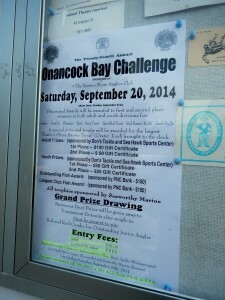 Event: The 24th Onancock Bay Challenge will be on Saturday, September 20th. Rain day….Sunday, 9/21. 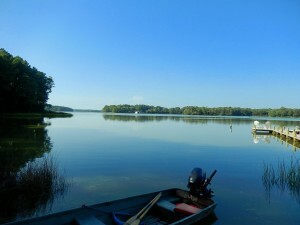 A special prize and trophy will be awarded for the largest “Eastern Shore Brown Trout” (Oyster Toad) brought to the dock. For more information, please call 757-709-8697, 757-787-4237 from 9 a.m. until 5 p.m. So as you travel Lankford Highway (Rt. 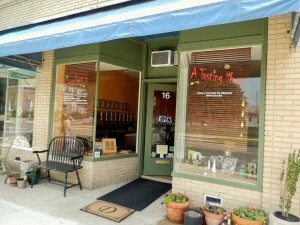 13) up and down….this is a great place to stop and refuel. Strolling Downtown Cape Charles took Cindi and I to this whimsical looking shop. 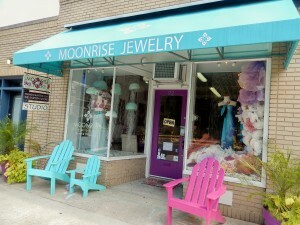 Moonrise Jewelry is located at 22 Strawberry St., Cape Charles, VA 23310. Tels. 757-678-0055, toll free, 866-338-9109. Website? 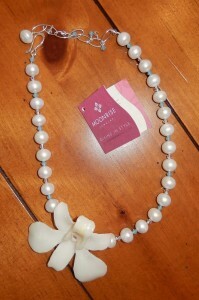 http://www.moonrisejewelry.com. It opens 10 a.m. to 6 p.m. every day. Sundays, 11 a.m. until 4 p.m.
Moonrise Jewelry started in 2002 and since then it has been featured in magazines across the U.S. Their jewelry is sold in boutiques, galleries, resorts, and jewelry stores….you can also buy online. All jewelry is handmade. This studio is a testament of their beautiful work. 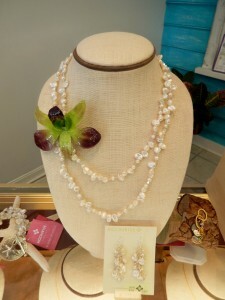 Orchid Blossom Jewelry. One of a kind blossom. 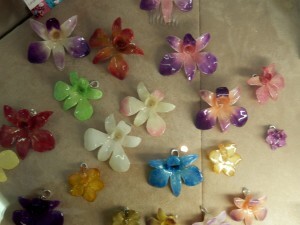 The orchid flowers are preserved in a durable resin coating. You can buy orchid pendant clips and attach them to your favorite necklace. Or, you can also buy a full necklace with the orchid permanently attached to it. The necklaces are gorgeous, and unique. 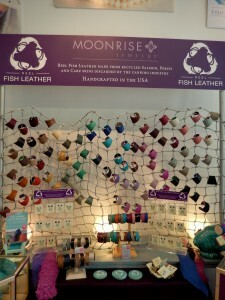 “Reel” Fish Leather Jewelry is made from salmon, perch, and carp skins discarded by the canning business. The skins are made into leather and dyed in a tannery. 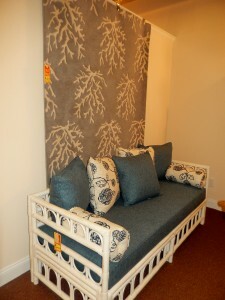 The exotic scale pattern is unique to each piece. The cuffs can be worn just as simply as you want….you can mold it to your wrist. 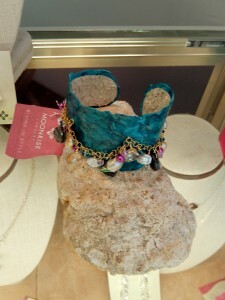 Or, you can buy the cuffs with pearls, crystals and natural stones embellishments to make it a little fancier. Definitely, a conversation piece. 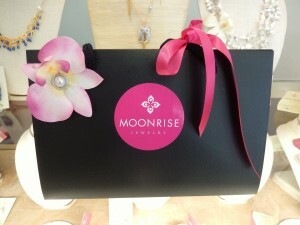 Please visit http://www.moonrisejewelry.com to learn more about Moonrise Jewelry. Have a wedding coming up? They have brides, bridesmaids, flower girls, groomsmens gifts….they can be customized. Give them a call. Besides their signature jewely, Moonrise Jewelry designs and handcrafts earrings, necklaces and bracelets, all unique to them. 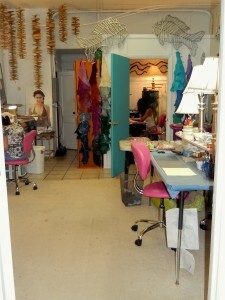 Right in their studio in Cape Charles, Virginia. Their packaging is just as unique, showcasing the “orchid”. My friend, Cindi, and I have never met strangers. It ended up being that the owners of Best Nest in Downtown Cape Charles were originally from the Bethany Beach and Selbyville…Delaware area. Small world. We arrived at the store because we wanted to say hi to someone from back home. 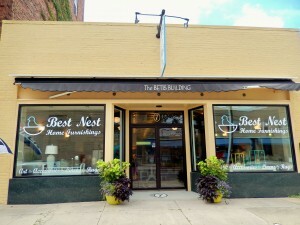 Best Nest is located at 7 Strawberry Street, Cape Charles, VA 23310. Tel. 757-331-4437. Website? http://www.bestnest.net. 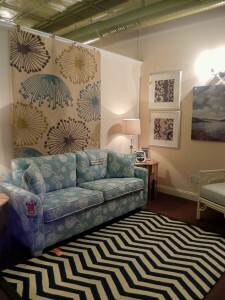 You can find them on Facebook as Best Nest Home Furnishings. This is a fairly new location for them….but the store already looked so pretty and it felt like it had been there forever. They open Monday through Saturday from 11 a.m. until 5:30 p.m. Closed on Tuesdays. Sundays by appointment. 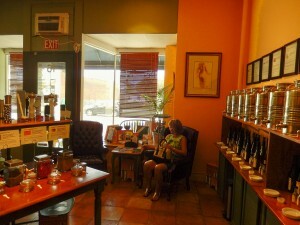 John and Nikki are the owners and they offer many years of experience to their customers. Their projects can be large or small, and both are very comfortable working with a variety of budgets, tastes and personalities. 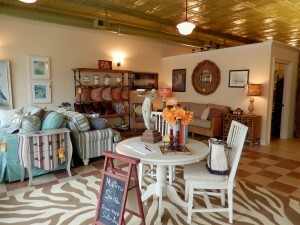 The store offers furniture, art, accessories, linens and rugs. At times just an accessory here or there can really define a room. If you are in need of home staging, or might want to rearrange what you already have to give you a better flow, please give them a call or stop by. Please visit http://www.bestnest.net if you would like to read some of the testimonials and also to see photos of many of their projects. The weather felt better today….don’t you think? Have a good one. No noise and no crowds in Cape Charles as the Second Season gets underway. 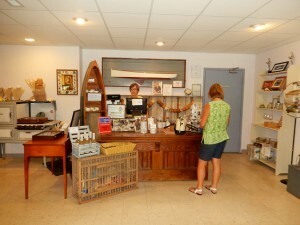 Checking out the shops in Cape Charles this week was part of our adventure. 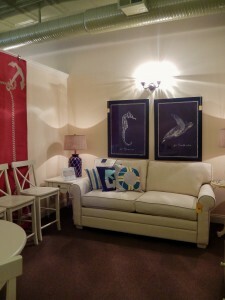 Cindi and I found Drizzles, located at 16 Strawberry St., Cape Charles, VA 23310. Tel. 321-747-3042. Website? http://www.drizzlesolives.com. It opens Monday through Saturday (Close Tuesdays) from 11 a.m. until 5:30 p.m. Sundays from Noon until 5 p.m. You can find Drizzles on Facebook. You can also order online. Drizzles has been opened for 4 years. 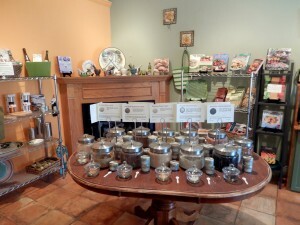 Besides infused vinegars, and olive oils, the shop has salts, and sugars. You can also find peppercorns from around the world. The best part is that you can taste before you buy. You can relax, sit, and think which of them you liked best. 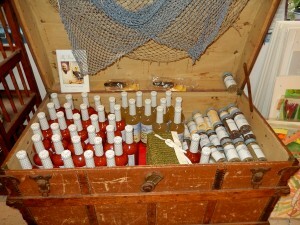 Lately, I have been hooked on infused vinegars. I, at times, reduce balsamic vinegar….I love that you can drizzle it over fruit, salads, fish, chicken, pork, and beef. Very versatile. 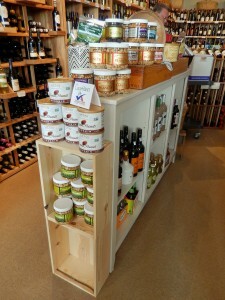 What I loved about the vinegars I found at Drizzle was that they were thicker than any others I have tried. Almost like a true reduction. I bought Fig, Cucumber Melon….doesn’t that sound good? And Grape Passion, which goes well on avocado. 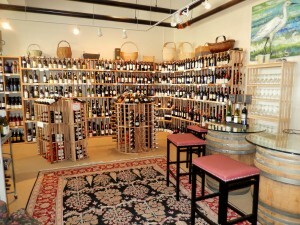 It is a great store, stop by say hello and let your tastebuds do the talking. 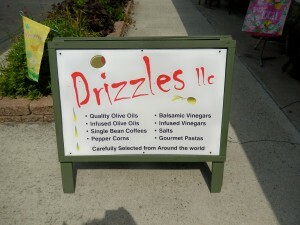 Please note that Drizzles carries specialty foods, cookbooks, and single bean coffees. Great place to shop. 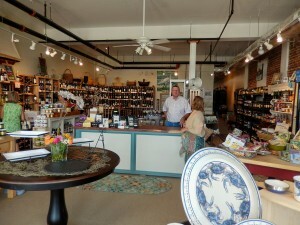 Gull Hummock Gourmet Shop is located at 115 Mason Avenue, Cape Charles, VA 23310. Tel. 757-331-1500. It is open at this time of the year pretty much every day except on Sundays. 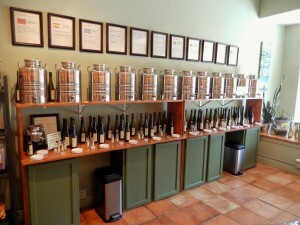 It is the kind of gourmet shop that appeals to both genders….wine, beers, cheeses….and the wine tastings that take place every Friday from 4:30 until 6 p.m. and Saturdays from 3 p.m. until 5:30 p.m. I think John, pictured above, will have a wine tasting any day…he offered us one on Wednesday….it will have to be another time. Thanks John. 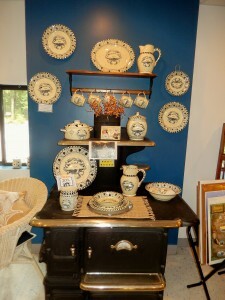 John has been in the Cape Charles area for 30 years and he is a wealth of information. Sort like its own Information Center. 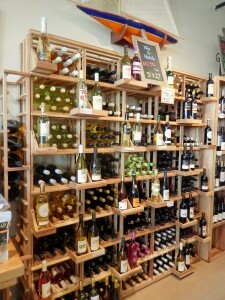 The store is fully stocked. 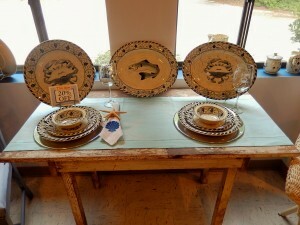 Great gifts by potters and locals are around the shop. 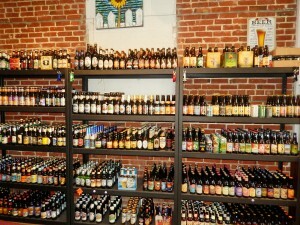 A huge selection of beers, as well. 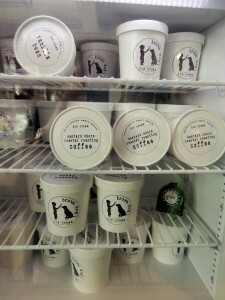 Nuts and famous Brown Dog Ice Cream….Brown Dog Ice Cream is also on Main Street, but when they are close the gourmet shop will have it ready. Gull Hummock is centrally located….we were staying at Hotel Cape Charles at 235 Mason Avenue and the shop is at 115 Mason Avenue. 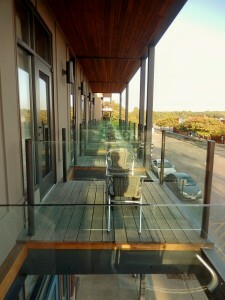 Great to get a few things to enjoy on our balcony!